Tá grá ag Nína dá dheartháir, Jimí ach, uaireannta cuireann sé isteach uirthi. Go háirithe nuair atá sí ag iarraidh a bheith ag spraoi lena cairde, na bábóga. Ba bhreá le Nína bheith bídeach ionas go bhféadfadh sí dul chun cónaithe lena cairde, na bábóg. 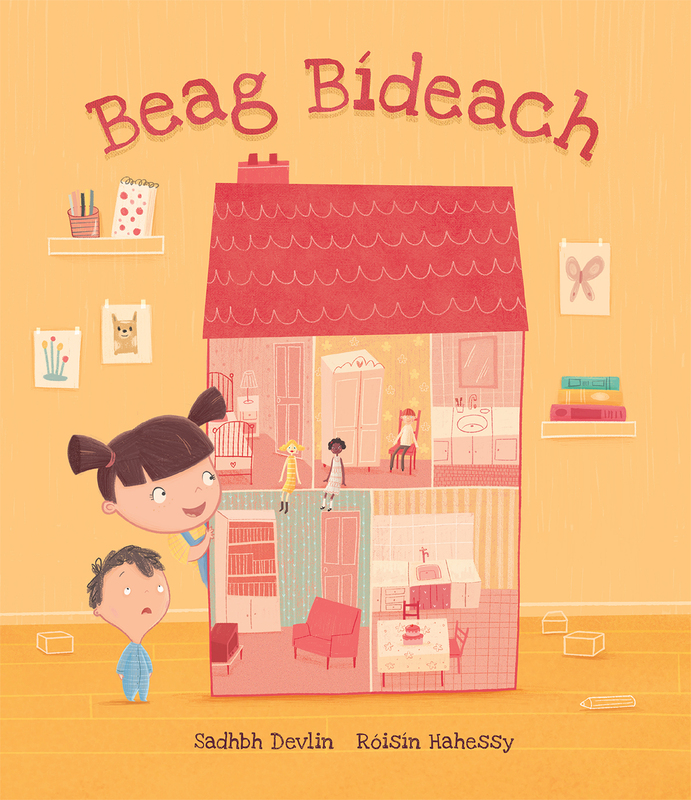 Nach mbeadh an saol i dteach bábóige, gan Jimí, go hiontach ar fad?! Nína loves her little brother Jimí, but sometimes, he just gets in her way… Especially when she wants to play with her friends, the dolls. Wouldn’t it be great if Nína was teeny tiny, so she could play with her friends in their house!